The Honolulu on Tap craft brew festival on March 30 at the Blaisdell Exhibition Hall offers visiting and resident brew enthusiasts a chance to sample fine selections from Hawaii breweries. Many others from around the United States and the world will also be featured. Honolulu’s best local food and entertainment are also on offer for visitors and residents alike. The craft brewing community in the Aloha State is thriving. Local flavors and ingredients are highlighted in countless selections from breweries on Oahu, Maui, Kauai, and the Big Island. Brewpubs are bustling. In Honolulu’s Kakaako district alone, there is a handful independent brewpubs mashing and fermenting their own unique recipes every day, all within walking distance from one another. Hawaii is home to a variety of beer festivals at hotels, resorts, brewpubs, and even the Bishop Museum. But Honolulu on Tap promises to be among the largest. Dozens of breweries from all over the United States and Belgium will be on hand. Still more breweries are yet to be announced. It is part of the America on Tap program, which holds “On Tap” in cities all across the United States. Of course, many of Hawaii’s own breweries will be represented at Honolulu on Tap. 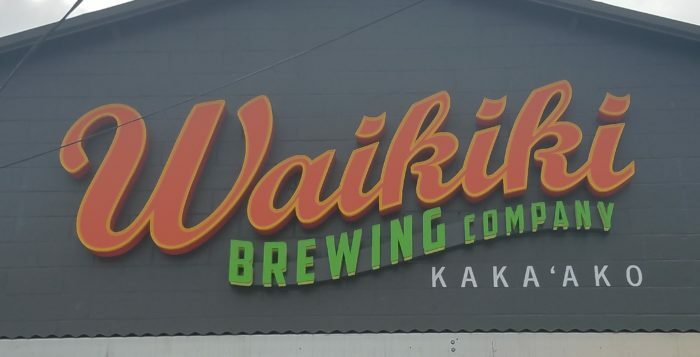 Waikiki Brewing, Home of the Brave Brewing, Kona Brewing, Beerlab HI, and Honolulu Beerworks, and Lanikai Brewing are already on board. Other Hawaii breweries are sure to sign on. Serious beer enthusiasts know that imbibing on an empty stomach is never a good idea, so there will be lots of food booths at Honolulu on Tap. Local favorites like Ahi Assassins and Blah’s Smoked Meat and others will be on hand with unique local dishes. Entertainment at Honolulu on Tap has yet to be announced, but organizers are certain to bring in the best live music Hawaii has to offer. VIP and General Admission tickets are available for Honolulu on Tap. The VIP package includes goodies like a souvenir sampling glass, commemorative hat, and food voucher with a four-hour sampling time. The General Admission sampling time is three hours, with sessions beginning at 1pm and 6pm. There is a “pricing countdown”, so visitors planning to be in Honolulu on March 30 can save by purchasing tickets in advance online. Organized games like Ladder Golf and Corn Hole will be available for sign up. It’s a great way for friends to bond over good-natured competition, and for visitors to make new friends. There is also the opportunity to become a volunteer for the event and it’s as easy as signing up online. Volunteers receive a souvenir sampling glass and event t-shirt. Honolulu on Tap encourages responsible drinking. For that reason, it is offering Designated Driver tickets for only $10, available only on the day of the event. Honolulu on Tap is strictly a 21-and-over only event. Parking at Blaisdell center for Honolulu on Tap is a flat $8. With so many new and dynamic breweries in the Aloha State, it’s safe to that that Hawaii has put itself on the map in the world of craft brewing. Honolulu on Tap is a great way to experience Hawaii’s unique craft brewing culture.